Three of these blocks can be chosen to appear on your home page at a time. 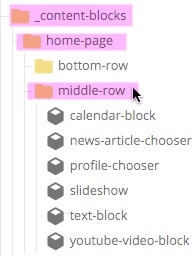 To edit the content in a block, go to the "_content-blocks/home-page/middle-row" folder and edit the appropriate block with desired content. 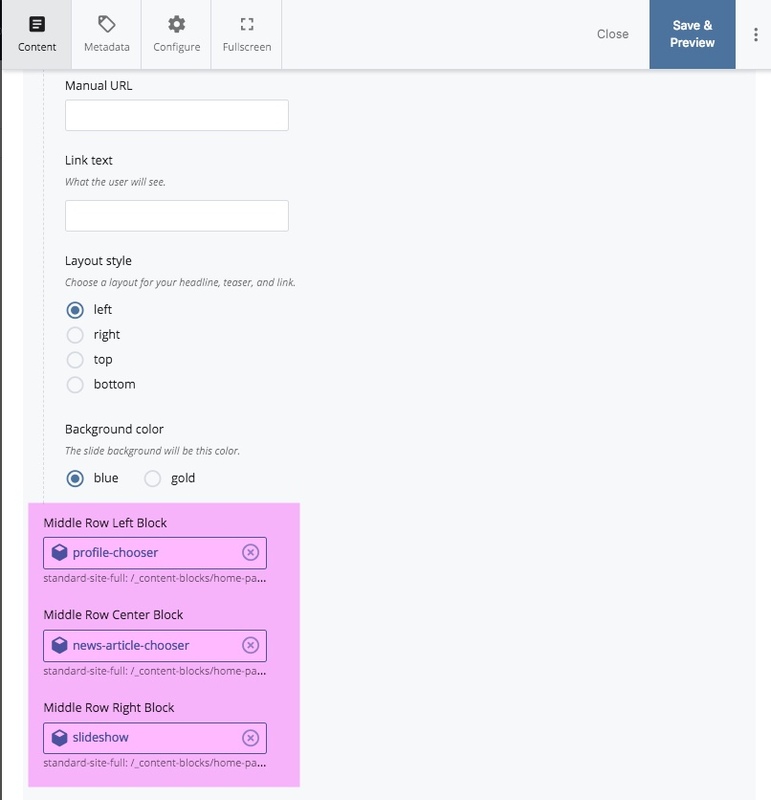 Edit the Home Page (index) and select the desired blocks for the left, center, and right regions. 3. Publish the index page. Note: Content blocks don't publish. Publish the page the block is on.